Binnenstebuiten in Buitenkerk, Kampen | Esc.rec. 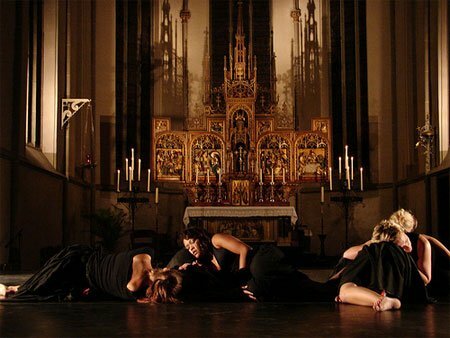 Binnenstebuiten is a dance performance (33 dancers, including Janneke ‘Binnensuis‘ Lenzen) in a beautiful church, with live music by Bram van den Oever (Gluid, Parkside), René de Wilde (Parkside) and Lois van Driel (on cello). I got to see and hear it yesterday and it was impressive!